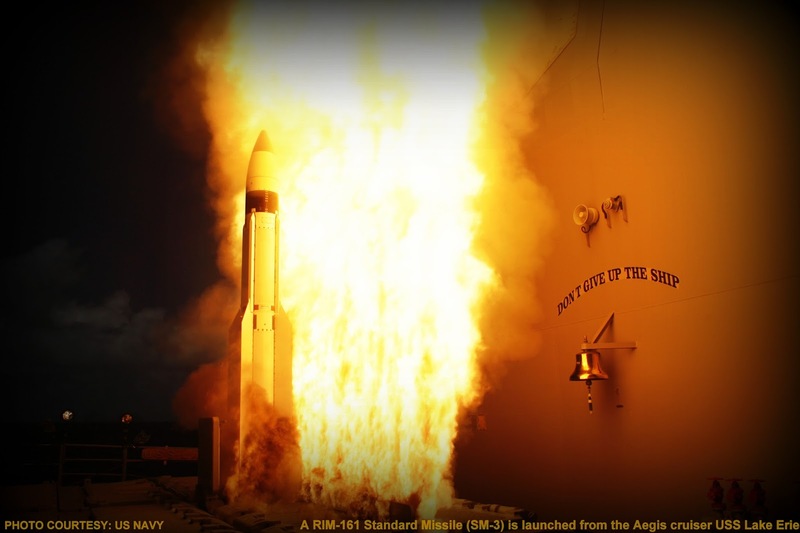 In February 2015, two of the most senior leaders in the U.S. armed services, the Chief of Staff of the Army and the Chief of Naval Operations, delivered an “8-star memo” to the Secretary of Defense which recommended the Department sponsor a ballistic missile defense (BMD) strategy assessment, due to the growing challenges associated with ballistic missile threats versus the number of available U.S. BMD systems. The next month, Representative Jim Cooper of the House Armed Service Committee called for a way to address the Service Chiefs’ concerns. Without an interagency approach, this question could be answered in the wrong way. The solution does not lie solely within the military’s management or employment of forces, but rather in the political philosophy underpinning the deployment of U.S. missile defense assets. As one of a handful of nations with this capability, missile defense carries indisputable benefits to U.S. foreign policy. However in providing BMD to allies and partners, the U.S. must insist recipient nations take subsequent actions which help maintain the flexibility of U.S. BMD forces. Without such commitments, security cooperation using U.S. BMD assets risks placing overwhelming demands on a limited resource. The interest in BMD stems from the growth of actors seeking ballistic and cruise missiles through smuggling or outright sales. As recently seen in Turkey and SaudiArabia, countries are finding themselves vulnerable to a new threat, even though it may come from some of the oldest versions of the Scud missile. Sufficiently armed, a rudimentary missile may still devastate large population centers, cripple infrastructure or severely impact the economy. Missile defense improves security against these dangers while creating positive effects on foreign relations. U.S.-Israel co-development of the Arrow and David’s Sling BMD systems, plus bipartisan Congressional support for funding and manufacturing of the Iron Dome counter-rocket system, have been much-needed demonstrations of a positive U.S.-Israeli relationship. Japan’s recent broader reinterpretation of collective defense and successful co-development of the SM-3 Block IIA missile is a reflection of improving interoperability and effectiveness in the Asia-Pacific region, and the European Phased Adaptive Approach (EPAA) solidified the U.S. as a key guarantor of NATO European security against ballistic missiles launched from Southwest Asia. While missile defense appears to have a deleterious effect on U.S.-Russia diplomacy, BMD’s effect on strategic parity could be considered exaggerated. The relationship instead appears mutualistic – the antagonism over BMD benefits Putin’s economic strategy, and BMD is credited as a robust capability and valuable security cooperation measure. Possessing a BMD capability resonates with countries which have a high risk of limited ballistic missile attack – one where the number of threat missiles actually used does not greatly exceed the resources available to defeat them. The quandary of assurance through “missile defense diplomacy” is that it is limited by force availability. Meeting new commitments means BMD forces must be augmented, transferred, or made more efficient. Augmenting consists of buying additional BMD systems such as Patriot and Terminal High Altitude Area Defense (THAAD) – difficult to do in the current budget environment. Augmenting also means leveraging capabilities from partner nations, or adding “left of launch” options – i.e., employing non-BMD assets to neutralize threat missiles prior to launching, which avoids using BMD interceptors. The transfer of BMD assets from another region may be acceptable during a crisis, but prolonged reassignment risks detracting credibility in meeting original commitments. Finding system efficiencies include developing ways for interceptors to defend larger areas (e.g., SM-3 Block IIA), improving the speed at which BMD systems move between locations (e.g., rapid deployment), lower response time to threats (e.g. Aegis Launch on Remote), reducing the cost to engage threat missiles through evolutionary technology (e.g. directed energy, rail gun), and increasing the number of threats defeated per interceptor (e.g. Multiple-object Kill Vehicle). However, all of these measures are internal to the U.S. Department of Defense (DoD), and will still reach capacity eventually. A country which asserts missile defense as vital to its national defense might agree to develop an indigenous BMD program. Regardless of its form, the program must (1) eventually phase out reliance on U.S. BMD forces, and (2) maintain an equivalent level of effectiveness. A complete missile defense program consists of interceptors, sensors, a battle management system, and a research and development organization. Japan and Israel possess programs, but lack established timelines for reductions in BMD deployments. Israel created a developmental organization similar to the U.S. Missile Defense Agency, and has even matured to a point where it markets systems to India and South Korea, yielding an economic as well as security benefit. An indigenous program would remain effective if it incorporated components which are compatible with deploying U.S. BMD systems. This construct is essentially what President Obama achieves with NATO through the EPAA, and seeks to build among the Gulf Cooperation Council states. The U.S. Administration streamlined the Arms Export Control Act review process for foreign military and direct commercial sales to further achieve system interoperability, but without a legal or policy obligation to use compatible systems, an indigenous program contributes virtually nothing toward effective coalition operations. In 2012, Turkey invoked Article 4 of the NATO charter to request BMD assistance against errant or intentional Syrian missile strikes, leading to the U.S., Netherlands, and Germany providing Patriot batteries. Later, Turkey took steps to modernize its missile defense capability using the Chinese FD-2000 system which neither complements NATO systems nor alleviates the use of foreign Patriots. Countries requesting U.S. BMD assets may accept their gradual reduction if the nation has a greater ability to impose consequences on their adversaries. This approach, unlike purely defensive weaponry, carries risk of exacerbating a volatile situation. In such cases, a commitment to build capabilities which complement flexible response options by the U.S. and partner nations may be a better answer. Countries might take steps to improve their ability to facilitate allied response by reinforcing internal support systems such as terrestrial or aerospace communications, building materiel repair facilities, or fortifying locations to improve supporting logistic movements. Agreeing to alternate between offensive and defensive forces may also reduce the need for a persistent BMD presence. In March 2014, the U.S. provided Poland offensive strike capability with ten F-16s during the Ukrainian crisis in order to demonstrate a commitment to regional security. Patriot forces deployed to Poland later as part of a military exercise, but did not remain there. Poland is investing more than $9 billion to modernize their air defense forces, opting to use systems which maintain NATO interoperability. This type of mutually supportive development improves the chances for successful military operations during actual conflict. In addition to offensive and defensive programs, countries may reduce the necessity for a geographic area to require a persistent missile defense presence. The request for BMD may stem from a need to protect vital infrastructure or resources in that location – for example, an area might have a large amount of banking or government infrastructure, a confluence of oil and gas fields, or hold the majority of defense or civil infrastructure. The U.S. may coordinate BMD deployment timelines with U.S. government construction projects or energy security measures designed to reduce that location as an “Achilles Heel.” Building bunkers, or placing new airfields, server farms, pipelines or other infrastructure which are not within range of threat missiles, could provide better resiliency against attack. If the area being defended is no longer a central point of failure, then the urgency for seeking continuous BMD coverage may be lower. Infrastructure projects may take longer to execute but allows for an eventual reduction of deployed U.S. BMD assets, helping them remain flexible in a crisis. Improving the country’s internal resilience to missile attack has the dual benefit of requiring the adversary to reevaluate their missile capabilities. Adversary strike forces may now need to cover a larger area, or may require greater accuracy and penetrability due to advanced construction methods. The adversary may also require better proficiency with coordinated attack, or lead to additional opportunities to expose hostile intentions or exploit weaknesses. Engaging non-DoD agencies has to be part of the long term strategy for missile defense. With austere budgets and looming sequestration, the Defense Department faces an arduous task investing in evolutionary improvements. Consequently the U.S. will continue to contend with capacity limitations in using missile defense forces as an instrument of diplomacy. While the U.S. remains steadfast in taking a lead role for security cooperation, the strategy requires assurances toward building internal security if collective defense is to be sustainable. This article has been first published at E-International Relations Website on Sep, 10, 2015. and has been re-published under Creative Commons License provided by the Original Publisher.